This afternoon myself and Oli were faced with something very exciting…free time…in the sun! After a lovely weekend in Padstow we decided to catch up on some jobs outside to make the most of our reclaimed day. We had expected to be travelling all day so a day of pottering about was definitely welcome. 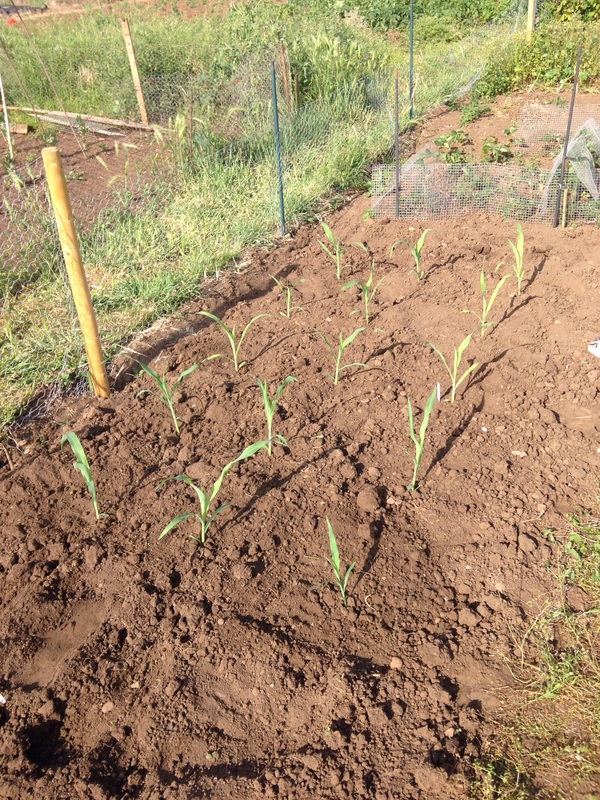 Whilst Oli painted some trellace to transform our garden fence and give the climbers some support, I headed to the allotment to plant out our sweetcorn. I had sown seed a few weeks ago in the greenhouse. 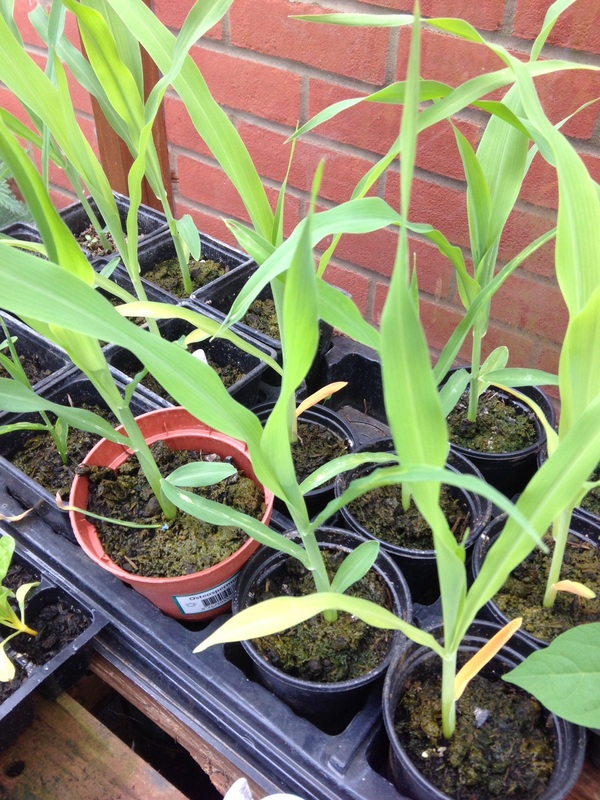 I’ve not grown sweetcorn from seed before, so I was quite excited to see if I could. I just popped them straight into 3inch pots of multipurpose compost and waited. All but 2 seeds have come through, although I had sown 2 extra as spares, so I actually ended up with the amount I wanted. Its been a pretty hot today, so I’ve just popped back to water everything. The water butts are starting to look a bit too empty. I love the sun…but some rain might be a good thing soon.